With the unofficial confirmation that Maxie and Archie will be getting Mega Evolutions, my friend and I started discussing what Pokemon will be getting their own and I decided I might as well share them here. Anyone else can throw down their thoughts too! We decided to keep it purely to gen 3 Pokemon, so Pokemon like Dusknoir will not be included, even though it is basically a gen 3 Pokemon now. I'll be going over what each Pokemons current stats and abilities are, and then will be giving my guesses as to it's new stats and abilities once it mega evolves. I also think some Pokemon will get new moves with the transition to ORAS, so I'll mention what I think they'll get too. On with the show! Rough Skin - Deals recoil damage when opponent makes contact. Speed Boost - The Pokemon's speed is raised one stage at the end of the turn. Sharpedo is without a doubt one of the most predictable in the game. It will have Speed Boost. It will have a Life Orb. It will have Protect. It's the only set it can run. It has great attacking and speed stats, but it's awful defense leaves much to be desired. However, I don't think it's Mega will stray very far from how it is now. Moxie - Attack stat is raised one stage after knocking out any Pokemon. Drizzle - Pokemon makes it rain when sent into battle. I'm pretty confident about all of this. I think Sharpedo works best as a glass cannon and it'd be a waste of time raising the defensive stats anymore. With this set Sharpedo can be a deadly sweeper, as very few Pokemon have stats above 120. Jolteon, Electrode and Shaymin have higher speeds, so you'll have to watch out for them. I also think Sharpedo will get new moves too, most likely Sucker Punch. Then he will have two priority moves that will hit hard. Moxie seems to be the most likely for me. Sharpedo will actually become weaker without the Life Orb, so Moxie will complement it nicely, allowing it to become a deadly Sweeper. With Aqua Jet Sharpedo will also benefit greatly being sent out as a revenge killer. Drizzle is more for story reasons. Team Aqua wants to turn the planet into an Ocean, so I thought it would make sense for Archie's Mega to have Drizzle. The chances of that happening are around 21.3%. Speed boost is one of the best abilities in the game, so I also have a bit of a hard time seeing Game Freak taking it away. It will allow Sharpedo to reach ridiculously high levels with its speed. Anger Point - Raises Attack to +6 if struck by a critical hit(Did not know this was a real ability!). Magma Armour - Cannot be frozen. Solid Rock - Reduces damage from super effective hits by 1/4. Camerupt has always functioned as a wallbreaker, but can be a force to be reckoned with on Trick Room teams. Even though he is 4x weak to water, his typing is excellent for offensive play. With his new Mega, I think he'll become even more common in Trick Room Teams. A completely new ability that will reduce damage from Water and Ice type attacks dramatically. I shall call it...Evaporate! This would make him a staple on any Trick Room team. Eruption would be the centre of his moveset as always. In a Trick Room however that will destroy everything except the bulkiest of Pokemon. Having both solid Attacks stats, Camerupt can hit both physically and specially defensive Pokemon with moves like Earthquake and Eruption. For new moves, I think Camerupt will get Scald, Stealth Rocks(by levelling up), Slack Off and Iron Head(levelling up too). Solid Rock is a great ability, so I wouldn't be surprised if Camerupt keeps it. Anything that helps lower the damage from Water-Type is a big plus. That's also why I think he'll get a new ability altogether. It would help take on Water-Types like Azumarill and Sharpedo. Intimidate - Lowers the foe's Attack by 1 stage. Quick Feet - Increases Speed by 50% when afflicted with a status condition. Moxie - Boosts Attack by 1 stage if the wielder knocks out another Pokemon. Game Freak could throw us all a curveball and give Archie and Maxie the same Mega. Now while I think many people would be upset about this, me included, I think Mightyena should get a Mega in some form. Mightyena has a great moves and abilities, but it's subpar stats is what holds it back. A Mega would allow it to rise up the ranks. Huge Power - Doubles the Attack stat. I think this is a reasonable way to go for Mightyena, while he's currently used for late game sweeping, I think putting him in a similar role to Assault Vest Conkeldurr would work well for him. Not meant for sweeping, but to cause as much damage as possible before being taken out, allowing another Pokemon to sweep. Sucker Punch can do some serious damage, and having access to Play Rough is also something you shouldn't overlook. As for new moves, Foul Play and Iron Tail are my predictions. Having access to the elemental fangs and Crunch really allows Mightyena to take advantage of Strong Jaw. Tyrunt and Tyrantrum are the only Pokemon with this ability, but they don't even want it. They want their hidden ability instead. Give Strong Jaw to someone who can use it, like Mightyena! Tough Claws is very unlikely, but Mightyena could also benefit from it. So that's it for today! There are plenty more predictions where that came from! 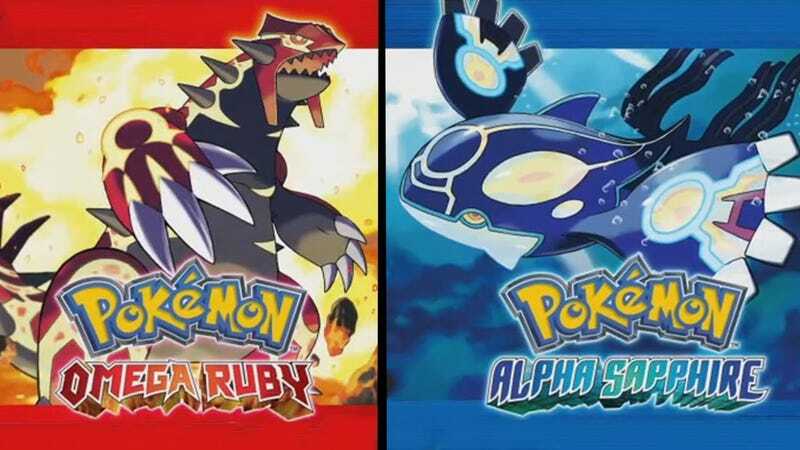 What's everyone elses predictions on Sharpedo, Camerupt and Mightyena?